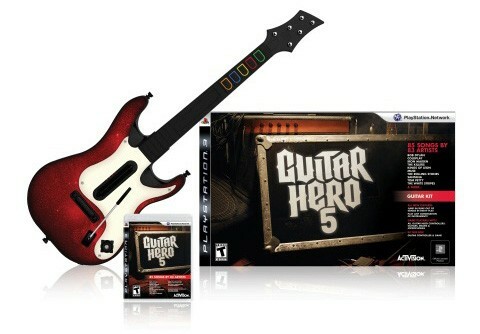 It should come as no surprise to anyone, but Activision has announced that Guitar Hero 5 will sport a brand new special edition Guitar. The major upgrade to the guitar is that internal signaling has gone digital, which minimizes latency. These means less missed notes. Other upgrades include a color coded fret bar as well as sight reliefs at the top, middle and bottom of the neck. Finally it's all finished off with a nice cherry red finish and white pick guard. But really, do you need ANOTHER plastic accessory guitar after Guitar Hero 2, 3, World Tour and Rock Band 1 and 2 Accessories crowding your living room? If you own all of those the answer is probably yes. Page created in 0.3288 seconds.